First, let’s get real. Sales funnels are nothing new, but with the tracking ability and impact of digital marketing, along with new automation tools on the Internet, like Leadpages, and Clickfunnels, it’s becoming a popular topic. That’s what we’re going to cover on this episode of Fordify. Watch or read below. There are a ton of tools that promise to help you improve your sales funnels, but remember, please don’t get seduced by technology. I want you to focus on the customer journey. You know, everything from a suspect, to a prospect, to a qualified lead to a client or customer. And that starts with funnels, which really work. So let’s de-mystify the process. Keep in mind that I’m not going to teach you everything you need to know about funnels, but I’m going to certainly give you the key elements that you must have if you’re going to use funnels successfully. First, I want you to keep in mind that there are two main types of funnels. This means you’re actively driving traffic to a sales process and you’re involved in that sales process. Maybe you’re selling a higher ticket item, where you’re actually going to be involved. For example, it might be a Facebook ad to a landing page that offers a webinar or a free consultation. Then from the free consultation, you’re going to actually up-sell them to a higher ticket item. This type of funnel is set up to automate leads or sales. Maybe it’s an e-book, video, or training program that you’re selling, but it’s something digital or something that you’re giving away that’s automated. So, once you’ve set it up, you can basically create passive income. You don’t have to be there for each step in the process. 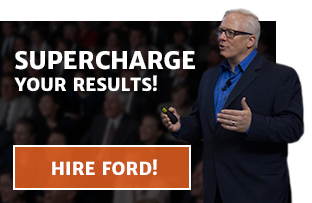 Now there are three main things that you need in your funnel to make it successful. You want to look at where your traffic sources are coming from. Now there are three subsets of this. Create traffic. In order to do this, you’ll need to use content marketing, video marketing, blogging, social media. Borrow traffic. With this option, you borrow the influence of people that already have big lists or big influence by having them as guests on your blog, podcast, or video platform or doing some kind of partnership with them. A landing page is just the first page that the traffic source is being sent to. It can be on your website, on a third party site, or on social media. Yes, you can actually use social media as a landing page, where you can embed the code right on Facebook, for example, to help drive them to sign up for your email list or purchase your products/services. When putting together your landing page, consider the content that goes on the page: What information do you need to give prospects before they will be ready to take the action step you want them to take? What’s the copy going to say? What’s the most effective layout for leading them to the right click? You need some way of capturing the lead or send them to a shopping cart, where you can actually have them buy a product. Lead captures take a person’s name and email and get them on your list. You can then upsell them on the thank you page to your products or services. Or you can nurture the lead on your email list through an email sequence and then offer them a deal later on. You’ll need to research and implement some sort of technology to make all of this work. Before, I always had my web development team create these funnels with custom coding. I’ve also used a tool called Leadpages. I have an account, and I love it. It has some great features and functionality. But recently, in the last six months, I’ve started to use Clickfunnels. It’s probably a tool many of you have heard of. I’m not going to go into Clickfunnels today. But full disclosure, I’m going to give you a link where you can get a 14-day free trial, because if you’re not using click funnels now and you want funnels, you’re probably going to end up using this tool in the future. Go to SmartBusinessFunnels.com. It’ll give you a 14 day free trial of click funnels. What I love about this tool is that it eliminates having to have a web development team, having to use Aweber. It eliminates my shopping cart, and it lets me actually do it all with non-technical experience. I’m a marketer, so I understand what I want to do, and it’s always hard to get that translated to my web development team, to my copywriters, and to my graphic designers. Click funnels eliminates all that, allowing a business owner to DIY it. It even includes affiliate programs and auto responders. I mean, I’m just amazed at what it does, and I couldn’t be more excited about it. 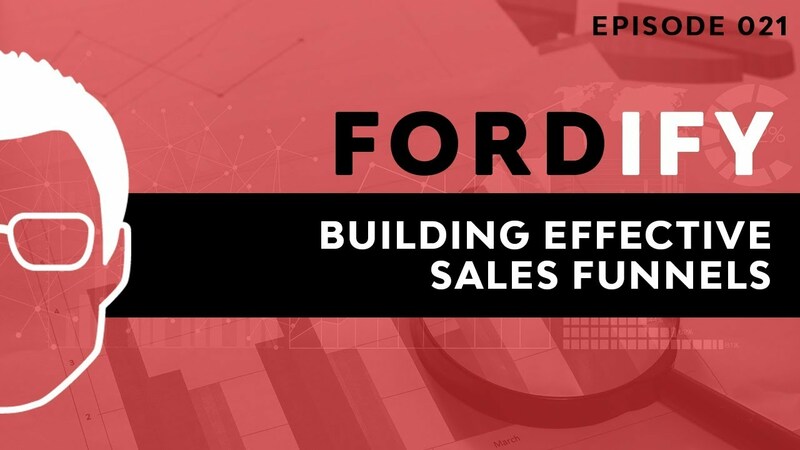 All right, so here’s your action step for this week’s episode: Look at what you’re selling now and ask yourself, how can we automate this process to engage and improve the process of capturing leads and sales? You probably have a sales funnel now. It just might not be working. Clickfunnels and the process I outlined above can help you get better results. Posted on September 14, 2017 in Sales by Ford Saeks.